No discussion of classic pulp would be complete without mentioning Clark Ashton Smith (1893-1961), one of the leaders of the Weird Tales school, along with his contemporaries H.P. Lovecraft and Robert E. Howard, and arguably the one whose legacy hasn’t lasted to the extent of either of the other two. Though the three never met, they all maintained correspondence with each other during the pulp golden age of the 1930s, and Smith helped contribute to what would later be called the Cthulhu mythos. In fact, Smith would go so far as to create a family tree of sorts, where Hastur is the half-brother to Cthulhu and married to Shub Niggurath. While Lovecraft insisted on the relative insignificance of humanity with his cosmic horrors best avoided lest they corrupt the mind, Smith’s stories tend to the more humorous, or at least give humanity a fighting chance. I will admit, the stories of his I enjoy the most are his Hyperborean cycle (cosmic horror, but set in an Iron Age setting), Poseidonis cycle (the last remnant of legendary Atlantis), and Zothique ( his longest cycle and one that firmly belongs within the Dying Earth subgenre of fantasy). I recognize this is at least partly due to my own predilection for fantasy, but I also feel that his fantasy has held up better over the years. What I enjoy about these stories is the way that Smith plays with expectations and preconceived notions. The necromancers in his stories are only occasionally the enemy, and are more likely to overcome the barbarian than vice versa. Women, too, play a much more prominent role than in either Howard’s Conan cycle or Lovecraft’s… well, anything really. There is a certain sardonic (and at times bawdy) humor that permeates some of Smith’s work as well. This, along with some of his decidedly more Gothic imagery, may have been what led to his lesser popularity compared to his fellow Weird Tale writers. The difficulty with Smith is that he was never one to let plot or characterization get in the way of a good description, and his prose is richly veiled in purple. He was far more interested in describing the exotic nature of his settings as opposed to zeroing in on the cosmic horror as Lovecraft did or describing the pulse-pounding action that defines Howard’s work. A lot of this comes down to his early work as a poet before he turned his hand to fiction, and he was extremely prolific. His longest poem, and arguably the best, is his “The Hashish Eater -or- the Apocalypse of Evil”, a sprawling visionary poem that, while it predated much of his weird fiction in the thirties, acts as a definite bridge between his earlier poetic efforts and the pulp fiction he would churn out during his most prolific period as a fiction writer. What this leads to is work that celebrates the senses as opposed to a dull plodding, and the way that he uses language is poetic and flowery, even when describing a corpse. If you enjoy golden age pulp but haven’t yet had a chance to read Clark Ashton Smith, I highly recommend you rectify that situation, as he bridges the divide between Lovecraft and Howard. For additional reading about the impact of Smith, there is an excellent series of articles over at Black Gate that delves greater into Smith’s fiction cycles and his impact on fantasy. If you are looking to dive into his fiction, Amazon has a number of places to start, and collections of his poetry are available via Project Gutenberg. This entry was posted in Pulp Appeal and tagged dying earth, fantasy, golden age of pulp, hyperborea, inspiration, necromancers, Pulp Appeal, pulp fiction, weird tales, zothique. Bookmark the permalink. 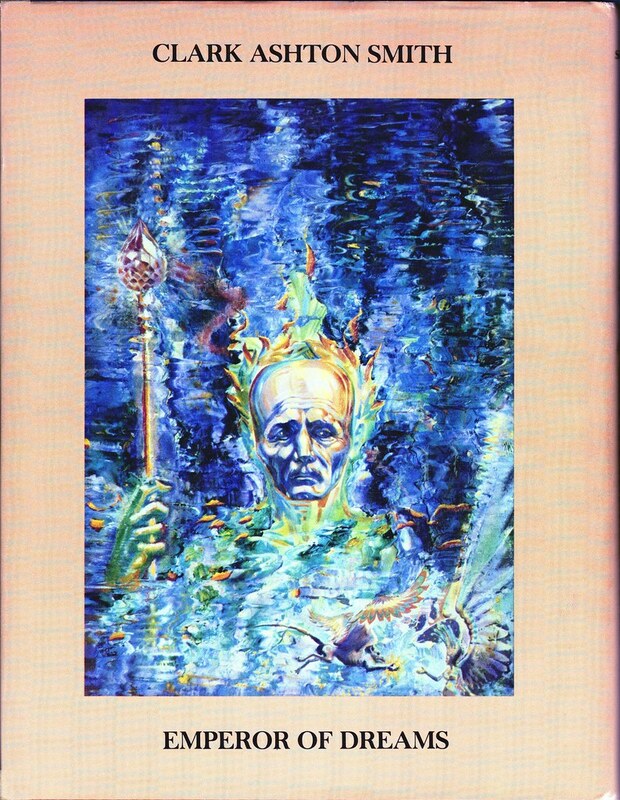 Article on one of the three main stays of Weird Tales: Clark Ashton Smith! I was very much a latecomer to Clark Ashton Smith. Of course I’d read some of his stories and poems in collections of Weird Tales and other horror anthologies, but I’d never sat down to read his work in earnest until a few years ago.